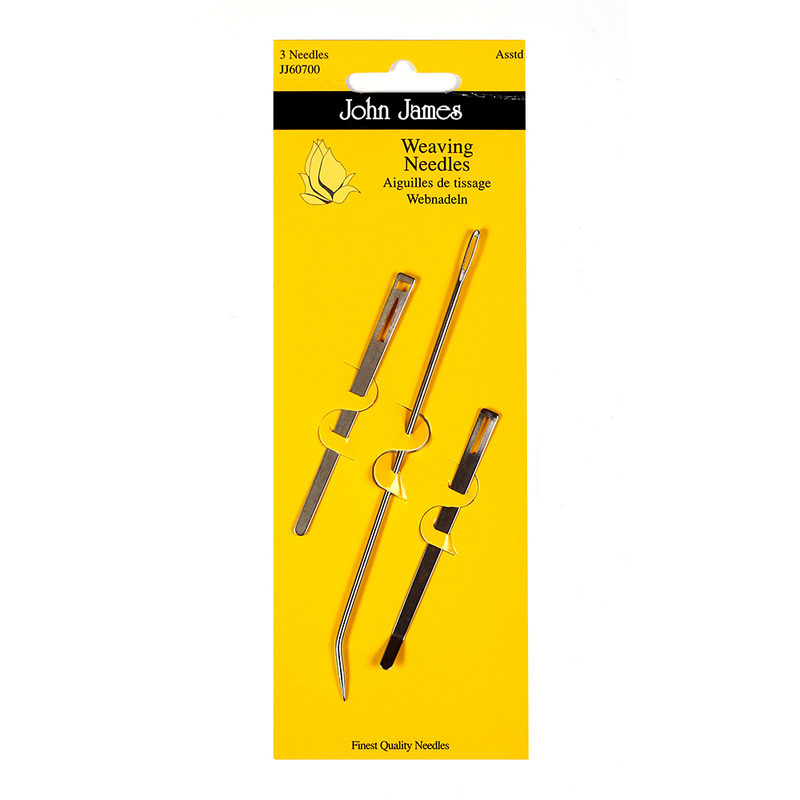 A fabulous kit containing 3 different types of needles in the weaving kit: a flat straight sewing needle and a flat cranked raffia sewing needle plus a cranked weaving needle. A cranked needle is sometimes called a turned up needle. Kit containing 3 different types of needles in the weaving kit: a flat straight sewing needle and a flat cranked raffia sewing needle plus a cranked weaving needle.